Canada’s Timothy Brook has won a major history prize in the United States for his book Vermeer’s Hat: The 17th Century and the Dawn of the Global World. The award, the Lukas Prize Project for Exceptional Works of Nonfiction, is given annually by the Columbia Graduate School of Journalism and the Nieman Foundation at Harvard. Brook was awarded the $10,000 Mark Lynton history prize. Brook, who grew up in Toronto and now is principal of St. John’s College at University of British Columbia in Vancouver as well as holding the Shaw Chair in Chinese Studies at Oxford University, is an internationally renowned China scholar. Brook latches on to physical details in the domestic life of Vermeer’s subjects and traces the threads of maritime commerce that brought them to Delft, illuminating in the process a vast and intricate economic web and demonstrating that centuries before the concept of ‘globalization,’ merchants and traders had knit the distant corners of the planet together. Established in 1998, the prizes recognize excellence in nonfiction writing that exemplifies the literary grace and commitment to serious research and social concern that characterized the distinguished work of the awards’ Pulitzer Prize-winning namesake J. Anthony Lukas, who died in 1997. The Newseum, the journalism and free speechg museum, has added 77 names to its Journalists Memorial that honours reporters, photographers and broadcasters who died while covering the news. Iraq topped the list and Mexico ranked second among the deadliest places for journalists last year, said Alberto Ibarguen, the Newseum's chairman, and president and CEO of the John S. and James L. Knight Foundation. The names of five journalists killed in Mexico were added to the memorial wall, along with 13 who were killed in Iraq in 2008. The popular blog Huffington Post has announced that it will bankroll a group of investigative journalists to launch the Huffington Post Investigative Fund with an initial budget of $1.75 million. Their first assignment will be to look at stories about the U.S. economy. The blog is collaborating with The Atlantic Philanthropies and other donors and plans to hire 10 staff journalists who will primarily coordinate stories with freelancers, said Arianna Huffington, co-founder and editor-in-chief of The Huffington Post. 10:05 a.m.: Go to freep.com. Look for where paid subscribers log on to get the spiffy new e-edition, but can't find it. Click on something that says "E-edition How-To," and wait through a download of 8.46 Mbytes. It's an instructional guide on how to navigate the e-edition, but still no log-on instructions. 10:16 a.m.: See, in tiny type on top bar of freep.com, something that says "e-edition." Click on that. It's the e-edition, all right, and it looks like I've got in without logging on. Could this be a first-day only thing? I want to set up a user name and password as a paid subscriber so I have no problem logging in tomorrow. I click on "my account" and get this message: " Sorry, Account is only available when logins are enabled and you are logged in." I decide to ignore the log-in process for now and check out how this thing looks. The full graphical layout of any page is on the left; you click on a story and it appears to the right. You select pages via a drop-down menu. You can bump up the text size on any story (nice!). . . .
Summary: I've been initiated into the brave new world of digital-only daily newspaper delivery. There will be readjustments, for sure. But the Free Press gets props for blazing a trail, and being brave enough to know it'll learn painful lessons along the way—lessons that other daily newspapers will benefit from. Because whether it's next month or next year, your daily, local newspaper may be next. Britain's Birmingham City University will offer a £4,400 MA in Social Media that will also explain how to set up blogs and publish podcasts. The one-year course will consider social networking sites as communications and marketing tools. The course, which will start next year, was advertised through a makeshift video on the university's website. Jon Hickman, the course convener, said he had received a good response from potential students and described what the course would entail. "The lights go out tonight"
For the first time, CNN will drop to third place in prime time against rivals Fox News and MSNBC in March. Change reflects viewer interest in opinionated news. Irving R. Levine, an NBC newsman whose trademark was a bow tie, has died at 86. Levine was a fixture on NBC, explaining the fine points of economics to millions of viewers for nearly a quarter century. 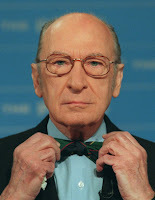 Known for his dry, measured delivery and trademark bow ties, Levine was a presence at NBC since 1950 when he began covering the Korean War until his retirement in 1995.He had become the network's full-time economics correspondent in 1971 and in the last five years of his tenure also did weekly commentaries on CNBC. He also appeared on "Meet the Press" more than 100 times over the years. 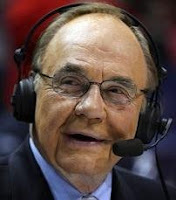 Levine once recalled that producers trying to shorten a television news story of his "finally suggested I drop the R in my sign-off, Irving R. Levine. I held my ground." "`No,' I said, 'I'd rather drop the B in NBC.'" The Star's Rob Salem reviews the "new" show. The Los Angeles Times and Chicago Tribune have announced plans to combine their foreign reporting operations. The editors of the two newspapers, which are owned by the Chicago-based Tribune Co., made the announcement to their staffs on Tuesday. Chicago Tribune editor Gerould Kern said the joint operation will be run from Los Angeles, where most of the foreign reporting and editing staff is based. "The Chicago Tribune will work with the Times on a daily basis to shape coverage priorities," he added in a memo. The New York Times says it eliminated 100 positions and will cut non-union salaries companywide by as much as 5 percent for the rest of the year. Washington Post is seeking an unspecified number of voluntary buyouts. Both are reacting to declining revenues. Coventional television may be suffering but Canada's specialty and pay TV businesses are doing well, data from the CRTC shows. Total revenue for specialty, pay, pay-per-view and video-on-demand services rose 7.6 per cent to $2.9 billion in the year ended last Aug. 31, and their profit before interest and taxes grew 5.9 per cent to $686.1 million, the federal regulator said Thursday. The CRTC report noted that over the past five years the number of services in the sector has increased by almost half to 182, while revenues rose by over $850 million. CBC English Services will cut up to 80 positions from its news divisions across the country as part of its efforts to make up a $171 million shortfall in 2009-10, the CBC's web page reports. Richard Stursberg, executive vice-president of CBC's English Services, announced details of cutbacks to radio and television on Thursday in a speech to employees. The cuts to programming will mean fewer episodes of many prime time television shows and cuts to entire programs on both Radio One and Radio 2. Google will soon be scouring Canada's public roads – cameras in tow – to bring its popular Street View maps feature north of the border. Street View, which is available on Google's map applications, gives users a pedestrian's-eye view of major cities by projecting images taken from street level onto the corresponding street in the map. 1150 CKOC, the Astral Media property, appears to be the last boomer bastion standing for 50s, 60s and 70s stuff around here. Venerable 1050 CHUM seems headed for a face off with 680 News as CTV and Rogers get ready for another fight to the finish. See below. From CP24 website tonight The morning of Thursday, March 26 will usher in a new era for CP24 -- one that will see the launch of a morning show and a radio station on southern Ontario airwaves. CP24 Breakfast will be co-hosted by Melissa Grelo, Matte Babel and lead anchor Ann Rohmer. It will also feature other well-known CP24 faces including Nalini Sharma, Cam Woolley and Mika Midolo, as well as the station's newest hire, Steve Anthony, who will helm traffic broadcasts from the air aboard Chopper 24. Beginning at 5:30 a.m. every weekday, the show will bring viewers traffic, weather and breaking news earlier than any other television newscast in the city. CP24's new radio station, CP24 Radio 1050, is also set to launch the same morning, giving viewers the ability to follow the station's breaking news and commentary all the way from their home to their workplaces. The station will launch at 5 a.m.
"CP24 Breakfast is an investment in local news in the GTA," says Bob McLaughlin, vice-president and general manager of CP24. "This exciting new program, coupled with CP24 Radio 1050, enables us to deliver an unprecedented level of service to our viewers and listeners unlike anywhere else in the city." CP24 has a daily audience of more than 1 million viewers and can now be seen throughout an even larger chunk of southwestern Ontario, from Peterborough to Windsor. An Ontario Superior Court judge has ordered a pair of website owners to turn over identifying information about eight people being accused of defamation after posting anonymous comments. "In my view, the defendants are under an obligation to disclose all documents in their power and control," Justice Stanley Kershman said in a ruling delivered Monday to defendants Connie Wilkins-Fournier and Mark Fournier of Kingston, Ont., who run the website Free Dominion. Kershman also ordered the couple to pay $5,000 in costs to the plaintiff in the case, Ottawa human rights lawyer Richard Warman, described by Kershman as an "anti-hate speech advocate." The Canadian Broadcasting Corp. plans to cut up to 800 jobs to make up for a $171 million shortfall in 2009-10. CBC president and chief executive Hubert Lacroix announced the layoffs Wednesday in a broadcast to employees. He said the public broadcaster also needs to sell $125 million worth of assets to make up the shortfall in operating costs. The sale of assets depends on approval by the federal government. Lacroix did not say which assets would be sold. The CBC is projecting 393 layoffs in its English services — including radio, TV and new media platforms — and 336 layoffs in French services. An additional 70 jobs will be lost at the corporate level. Layoffs could start in May. The full number of layoffs could be reduced if some employees opt for retirement. CP story on gentlemanly jock. Communication revolution flattens another newspaper. AP. Fox overnight person apologizes for mocking Canadian army. May not be enough for some. CTV.ca. How CBC handled it. Okay John Doyle observations on this with amusing asides about "twaddle being peddled as analysis." There's a lot of it going around. Globe and Mail. Cardboard figure of a cop who was 60 years ahead of his time with a wristwatch radio is still worth something. Very advanced but dumb. Irresistible story told by the Associated Press and no doubt many others. Newspaperwoman of some experience. SmartMoney. Slight mention of Canadian publisher's interest in this local verson of San Diego takeover. See Canadian slant one down. B.C. publisher David Black and equity firm acquire the San Diego Union-Tribune. Notes Torstar interest in Black Press Ltd. Globe and Mail. to help CanWest Gobal Communications. Fox News admits mistake in misleading editing of Joe Biden clip. (Canadian Press). Used old clip in present context, calling it an honest mistake. Legendary TorStar executive remembered in Toronto Star. Thoughtful piece in PCWorld about the waning loyalty to print. John Roberts and Kyra Phillips an item? National Post reports how Phillips accompanied Roberts to Toronto for Hall of Fame event, refused to have picture taken together and other bits. A world exclusive of sorts for gossip person Shinan Govani. Publicity picture CNN. Canadian Press reprises career of Ms Maddren, a favourite of listeners of the flagship news show "World Report". 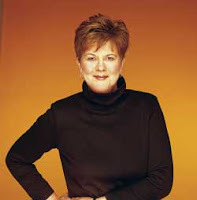 The steady presence of Judy Maddren will sign off from that program for the last time on March 27, 2009. Link to CP from headine above.